2115 Pinckney Avenue has a Walk Score of 62 out of 100. This location is Somewhat Walkable so some errands can be accomplished on foot. 2115 Pinckney Avenue is a seven minute walk from the 501 Light Rail - Lynx Blue Line at the 25th St Station stop. This location is in the Villa Heights neighborhood in Charlotte. Nearby parks include Cordelia Park, Clemson Avenue Park and Highland Park. Explore how far you can travel by car, bus, bike and foot from 2115 Pinckney Avenue. 2115 Pinckney Avenue has good transit which means many nearby public transportation options. 2115 Pinckney Avenue is in the Villa Heights neighborhood. 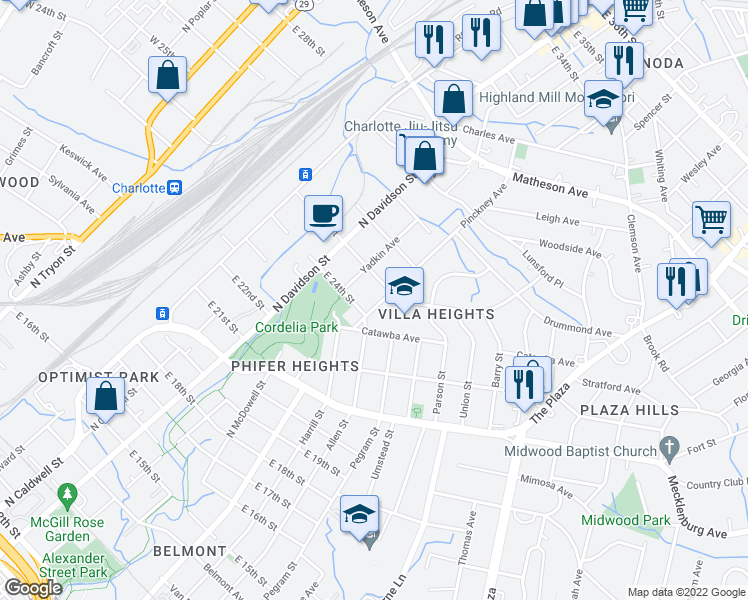 Villa Heights is the 12th most walkable neighborhood in Charlotte with a neighborhood Walk Score of 61. Moving to Charlotte from another city? View our moving to Charlotte guide.